My love for Alfonso Cuaron’s Roma has veered into obsession. I have watched the film in full three times now and specific scenes many more times than that. I’m gobbling up articles and podcasts as fast as they’re being produced. To capture the many ways Roma works its magic, I’ve decided to compile a list of the film’s thematic elements, recurring motifs, and symbolism, as well as some good old-fashioned trivia. Please use the comment section to explore and challenge these items and to suggest your own. Warning: This is a SPOILER zone. Don’t read on until you’ve seen the movie! 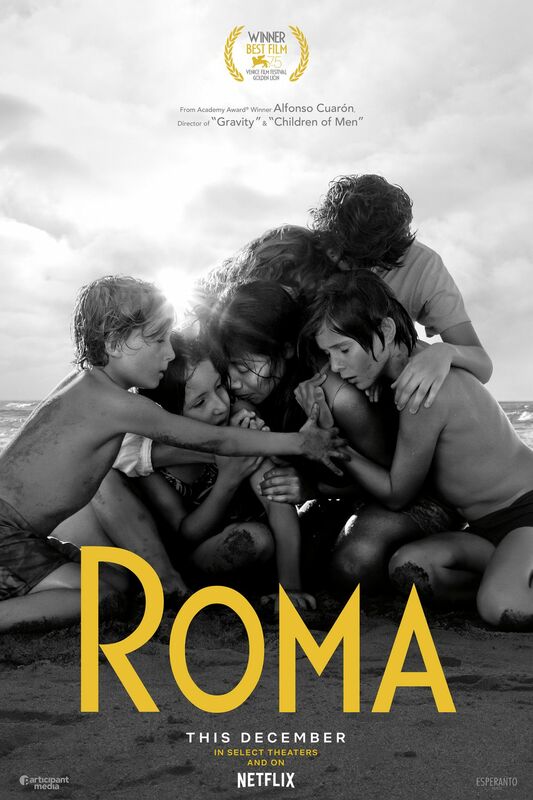 Few films in recent years have received as much lavish praise as Alfonso Cuaron’s Roma. A compilation of critics’ top ten lists has it in the #1 spot with a 200-point lead over the next title. It has been repeatedly called a masterpiece and even, by more than a few writers, one of the greatest films ever made. Can any movie possibly be worthy of all that hype? Can Roma live up to those expectations? My answer: It doesn’t, until it does. And then it somehow surpasses them.